NEW AGF (downloadable) Phone Backgrounds! We’ve been reading your comments on our graphics lately about how you'd like to have them for your own use! So, we decided to do just that. 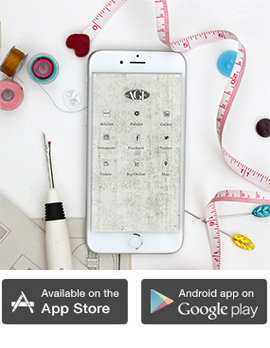 Now, you can download any of your favorite graphics right to your mobile phone, for that extra daily motivation. Whether you want to send it to a friend, print it, or keep it as your phone background, it’ll always there keep a smile on your face. If you are always googling DIY projects and can’t seem to get the needle out of your hand, crafting is more than just a hobby for you. Everyone can reach a bumpy road while trying to find that passion that keeps us crafting, here’s a friendly reminder to always believe in yourself. We all make mistakes but we also need a good laugh in the process! Will you be downloading any of these, if so, which one is your favorite? Let me know in the comments below. We love our traditional, warm snuggly quilts but here in Florida, we are always looking for a way to make an ultra lightweight, soft, luxurious quilt to take with us to the beach or to accessories our homes. With the introduction of our Rayon Striped collection, we knew we had to put it to the test by making our ultimate dream quilt we have been dreaming about for so long. With a mix of our solid rayons and stripes, we put together the “Strippy” free quilt pattern. For those of you who may be fearful of dippin’ your toes into the rayon quilt making process we put together a video for you to aid you in your journey as well as a printable a PDF to follow. Feel free to think outside the box and use fabrics other than traditional quilting cotton, we found that the outcome is absolutely gorgeous. Let us know in the comments if you have sewn with Rayon before and if you have any tips or tricks to share! If you haven't checked it out make sure to flip through the pages of our NEW RAYON STRIPED Lookbook for more inspiring things to make with Rayon! Start by getting your work space clean and ready, and gathering the tools that you will need for the project. Take this opportunity to begin explaining the steps of the process and how some tools work. Leave the arranging part to your little one, she or he will take it to heart! He took the strips and started organizing them. It was fun to watch Nico while he played with the strips discovering new ideas and making different shapes. At the end, he decided to align them into a straight uneven strip set. He stood up proudly and looked at them again from far away just to say: "I really like my design!" ... No words to describe our happiness. When your little helper has put so much thought into her/his design work, please step aside and respect her/his decision, she/he will appreciate the piece even more. It is time to sew. If your child is interested in sewing this is a great opportunity to start teaching her/him, there are many sewing machines in the market for kids; or if you feel that she/he is ready for yours, go ahead, just make sure she/he starts by learning the safety rules. In my case, I sewed the strips together following Nico’s arrangement. Apply your design to a bigger design. You can applique it, cut it into smaller pieces, or even frame it with fabric strips to make it into a quilt. Nico and I searched for projects and chose to use the instructions of the Day-Night quilt and tweaked it into a full moon eclipse design. We decided to sub-cut the uneven strip set into smaller strips and apply them to the chosen instructions. Now that your teammate has done all the hard work is your turn to do your part: finish piecing the project! Nico loves the pieced top and he is looking forward to the finished quilt. Can you think of a special person you would like to quilt with? Is your little one curious about quilting or just sewing in general? Just bring an open mind and patience to the studio and be prepared for the unexpected. Hey Everyone! Mister Domestic, one of our lovely, talented designers is having a party and you're all invited! Save the dates for Feb 11th- March 16th because during those weeks we will be seeing amazing projects made by the impressive list of markers below! All of them will be sewing with Mister Domestic’s latest collection called Aura! Haven’t sewn with Aura Fabrics yet? Well after seeing all the inspiring projects during the weeks to come you will want to get your hands on some. Can’t wait and want to see projects this instant sewn with Aura fabrics, well your in luck. 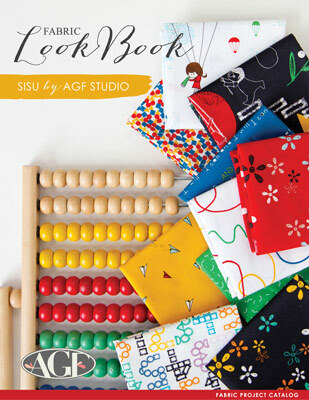 Our Aura Fabric Project Catalog has a great array of different sewing projects to get your creative juices flowing! 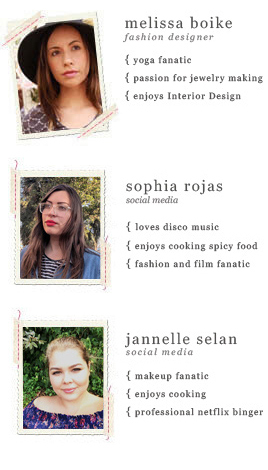 Four amazing makers have already shared there Aura makes so make sure to head to their blogs to join in on the party. While your at it if you want to see more impressive projects check out the Blog Party Mister Domestic had for his debut collection called Loved to Pieces! Let me know in the comments if you coming to the party! I can’t wait to follow along and check out all these makers blogs and creations! 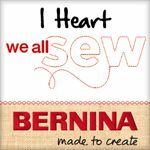 Make sure to share with all you sewing friends! The more the merrier!